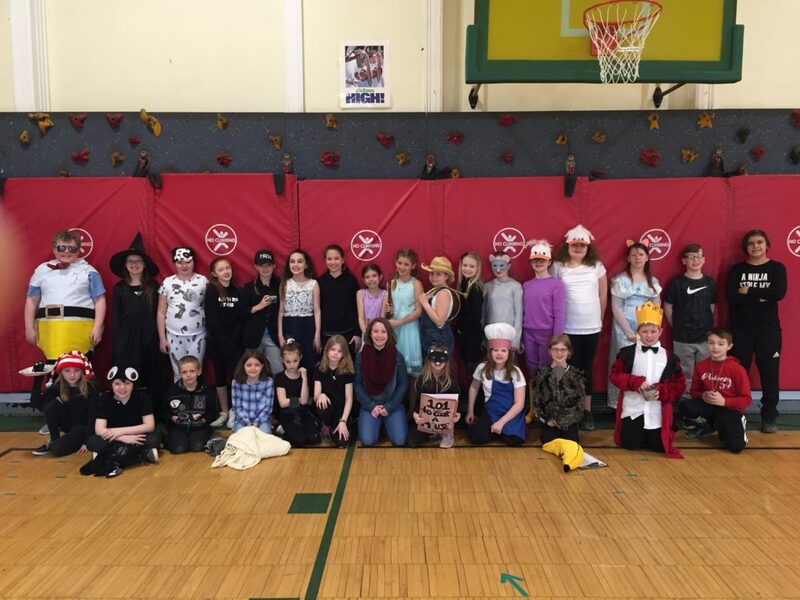 The Berlin Elementary School Drama Club performed their first-ever production of “A Mother Goose Comedy” to a packed audience Thursday, March 28. Fourth grade teacher Megan Laz was excited about bringing her expertise with drama clubs to the fourth and fifth grade students at BES. Mrs. Laz and music teacher Katherine Labnon directed the club’s 29 members in this year’s production. BES teachers and administrators Karyn Healy, Tracy Kent, Stephanie Kneer, Kathy Mason-Wagner and Gretchen Ruebel are instrumental to the club’s production. The student performers included: Izzy Bink, Alaina Bonbardier, Gabby Colangione, Tamaz Devine, Ava Dus, Sage Dudley, Kelli Gryn, Joe Hoffman, Tyler Hoffman, Haylee Jones, Elena Leahy, Mackenzie Lowell, Tyler Lumpkin, Asia Mabee, Jack Mace, Cale Maxon, Lilly Meyers, Alicia Minkler, Maritza Montanez, Taylor Morse, Kira Reed, Madison Rontey, Brandon Schongar, Hope Sharpe, Morgan Sharpe, Norah Smerdon, Elliot Smith, Mackenzie Walko, and Erika Yerdon.